Home > News > We can talk about it now! We are very excited that we are able to talk about this project now. 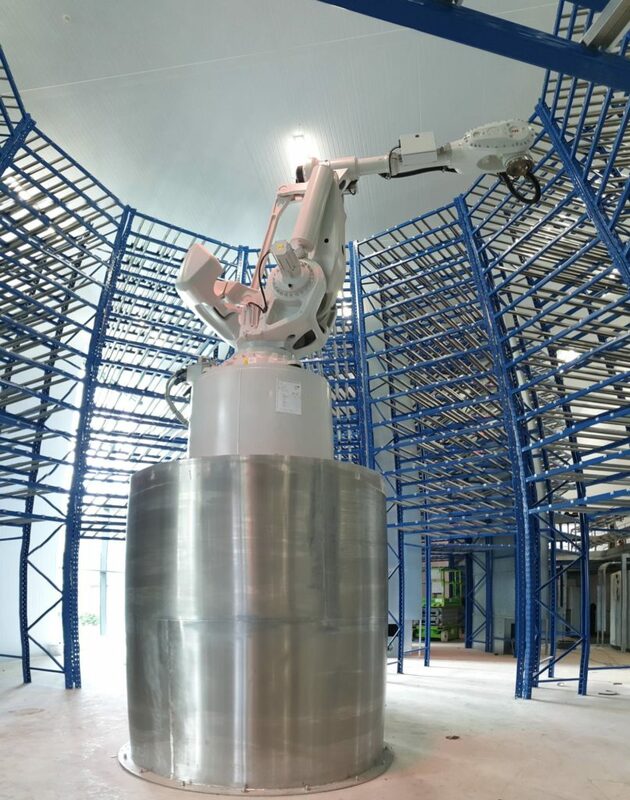 This is just one of the 3 Robotic Dry Age Storage Pods Newtech are responsible for the designing, manufacturing, installing and commissioning of at Dovecote Park in Stapleton, as part of their new Dry Age facility. Total capacity per pod is 2230 crates, leaving 50 vacant spaces – that’s a total plant capacity of 6690 crates! Needless to say, this project has been a long time in the making. Initial ideas were considered in October 2017, with a completion target before the end of this year. From conception to design to manufacture, every element has been thoroughly and expertly planned and we can’t wait to show you when it’s completed. Watch this space! If your business has a unique automation requirement where an ‘off the shelf’ solution doesn’t cut it, get in touch – we thrive from a challenge!